Dr. Schwartz was incredible! I came in for an issue that I've had off and on my whole life and arecent episode triggered me to finally get it checked out. Dr. Schwartz was very warm and personable and explained everything she was doing thoroughly in a way that put me at ease. She listened closely to everything I was saying and didn't make me feel stupid for the ideas I had about it like some doctors occasionally do. She addressed every single question I had and didn't make me feel like we were on a time limit. The way she explains treatment plans and everything in general is very clear and understandable, and I highly highly recommend her if you're feeling the need to look into something. The phlebotomist/nurse was also very good at her job and was one of the easiest blood draws I've had! My only qualm was the tablet used to check in, instead of the clipboard and paper. I like that they're saving on paper but I found the process clunky and time consuming. Otherwise, fantastic office + doctor and I'm already feeling better with the treatment plan she came up with for me. Dr. Schwartz was incredible! I came in for an issue that I've had off and on my whole life and a recent episode triggered me to finally get it checked out.Dr. Schwartz was very warm and personable and explained everything she was doing thoroughly in a way that put me at ease. She listened closely to everything I was saying and didn't make me feel stupid for the ideas I had about it like some doctors occasionally do. She addressed every single question I had and didn't make me feel like we were on a time limit. The way she explains treatment plans and everything in general is very clear and understandable, and I highly highly recommend her if you're feeling the need to look into something. The phlebotomist/nurse was also very good at her job and was one of the easiest blood draws I've had! My only qualm was the tablet used to check in, instead of the clipboard and paper. I like that they're saving on paper but I found the process clunky and time consuming. Otherwise, fantastic office + doctor and I'm already feeling better with the treatment plan she came up with for me. It was fast and painless. She is absolutely the most pleasant person ever. It would have been helpful if I hada call with her first. I actually did not need to see until a few years out. It was fast and painless. She is absolutely the most pleasant person ever. It would have been helpful if I had a call with her first. I actually did not needto see until a few years out. Dr. Schwartz is thorough and has an excellent bedside manner. I couldn't have asked for a better experience. Amazing! She really cares and gets all the details! A great experience. Dr. Schwartz was friendly, understanding, and very helpful. I will be visiting her again in the near future. Very thorough. She immediately put me at ease. I saw Dr. Schwartz for an initial visit in prep for my first colonoscopy. She was detailed in providing me with what to expect and very pleasant in her bedside manner. I feel well-prepared for the test. Dr. Schwartz is great. Have been seen her for a while now and I always have great service. So glad I found her. I highly recommend Dr. Schwartz. She took the time to thoroughly examine me and explain things in a way that put me at ease. I felt confident in her assessment and recommendation for next steps. Nice, clean office with pleasant front desk staff/nurse in a convenient location. Dr. Schwartz was prompt, knowledgeable, and generous with information - very professional. Professional and personable. Highly recommend. Dr. Schwartz has excellent bedside manner. She is knowledgable and takes time to listen to her patient. Her explanation is clear and easy to understand. Dr. Schwartz was awesome. Great bedside manner. Very thorough and gives great explanations. Dr, Schwartz was attentive, efficient without rushing. She was thorough and I felt comfortable talking with her. You can see that Dr. Lauren Schwartz is a doctor with passion. She is professional, warm and she takes time to discuss your issues. Highly recommend her. One of the best doctors I’ve ever seen. Patient, kind and very thorough. Would definitely recommend Dr. Schwartz to anyone. Dr. Schwartz was patient, thorough, and most importantly, kind! She listened to all of my concerns and did not rush to a conclusion. I felt very comfortable discussing my symptoms (gastroenterology can be a sensitive topic!) Not to mention, her nurse was great! 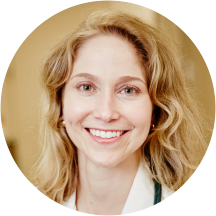 Dr Schwartz is the second specialist I have seen regarding my current medical situation and I will say that she is intelligent, kind, compassionate, and very thorough. I felt very comfortable speaking with her and as a gay man, I feltthat she was familiar with gay men’s health issues and I felt more and more comfortable as our conversation continued. Although we’re still going to perform a few procedures and tests to determine exactly what’s going on, I feel confident being in her care. Thank you so much for a wonderful experience. She’s the GI doc to go with. Dr. Schwartz was great! She listened to everything I said and came up with a game plan to get to the bottom of my issues. This was my initial office visit with Dr. Schwartz. I found her to be both professional and compassionate, a much appreciated combination. Dr. Schwartz spent time asking me questions, listening to my concerns, and carefully explaining whatthe next steps in my treatment should be. The office staff was also very welcoming and helpful. A great experience, and I am definitely happy Dr. Schwartz was recommended to me. I received a worthwhile diagnosis and advice from Dr. Schwartz. She has an excellent bedside manner. Communication was clear. From making the appointment to paying for the visit, I had a good experience. while the office was running a bit behind, everyone was very friendly and apologetic. Dr Schwartz is the best there is. Highly recommend. Dr. Schwartz was pleasant. She asked for previous info to be sent to her for evaluation. We shall see how she handles my history. Very professional, warm, engaging, thorough. A wonderful physician and person! Barely finished my intake (electronically!) before my name was called. Amanda was great for taking my vitals (and blood after I saw the doctor), and I spent very little time alone in the office waiting for Dr. Schwartz. She was reallywonderful collecting information and helping me understand my next steps, etc. I found her really calming, and I am really glad I made an appointment at this office. Excellent, and professional. Listens very well, not always the case with a doctor. I came to Dr. Schwartz after a recent poor experience with another GI. From the moment I walked into the practice the experience was positive. The office staff were friendly and responsive (my previous GI had neglected to fax over mypaperwork after I'd requested it, and the woman registering me immediately volunteered to call their office then and there). Dr. Schwartz listened to all my background information and concerns and asked a number of thorough followup questions. She clearly explained what action she wanted to take, what it would entail, and why it was necessary. Although it remains to be seen whether my issue will be solved, I feel very confident moving forward with her suggestions. Dr. Schwartz was very knowledgeable, thorough, and patient. I liked that she explained her diagnoses very carefully and was not annoyed by my questions. I had the sense that she was listening to my concerns carefully and truly analyzing thesituation. The tests she ordered make sense. I am looking forward to continuing to work with her as my new GI. Dr. Schwartz was very thorough. Good bedside manner. Listened to concerns and outlined recommendations. Dr. Schwartz is one of the most personable and kind physicians I can remember seeing. She explains everything very clearly, is kind, and never makes me feel rushed. I really recommend her. Ever since I've moved to NYC 13 years ago, I've had some hard times finding good doctors. I definitely got a great first impression from Ms Schwartz. She was very nice and listened well, and she also explained info and optionsto me in a pleasant, informative way. Seeing a gastroenterologist can be very nerve-wracking, but she put me at ease, and her extensive education was also comforting. The Woolworth building is also a beautiful place for a doctor's visit! Super friendly and knowledgeable doctor. Very happy with my experience here. I really feel like she listens when I am talking about what Im experiencing. She has spent a lot of time helping me and follows up very quickly after any tests or procedures. She's great! Thorough and knowledgeable. Compassionate and patient. Look forward to following up. Just for office, would have liked to use health history form on file for ZocDoc as I felt there were things I may have forgotten. Came in by recommendation from a friend and I? was not disappointed. Dr. Schwartz was very open and explained everything to a T. Very nice and friendly. And she even warns you about her cold hands! Excellent communicative doctor with a wonderful bedside manner as well. Very knowledgeable, kind, thorough and helpful. I highly recommend her. This kind of exam is obviously no ones favorite but she made me feel so at ease and it was so much better than I was anticipating. She was so through and her staff was reallly nice too. Dr. Schwartz is very kind. The office was very clean.